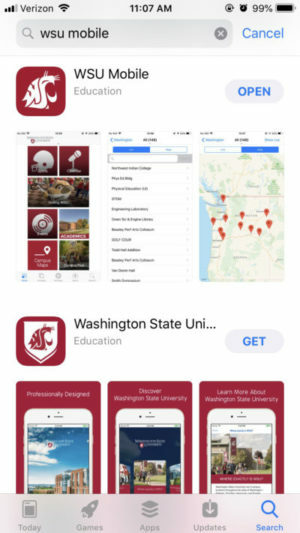 Available now in both the Apple App Store and Google Play, WSU students, faculty, and staff can download the new WSU Mobile application for portable devices. WSU Mobile provides fast access to key ingredients for student success, something every student can appreciate. 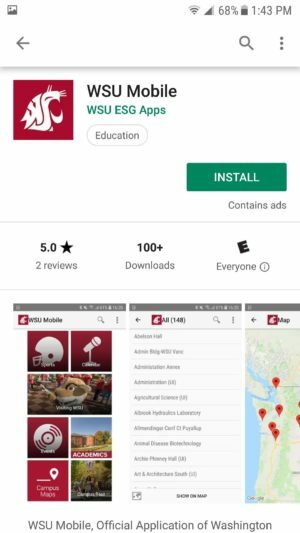 Mobile-friendly resources available to access through the app include Blackboard and myWSU, as well as apps and links such as GET, Navigate Student (formerly Guide), WSU Athletics, and more. The tools available through WSU Mobile reflect system-wide services so students and guests at all campuses can enjoy the benefits of a single point of mobile access to numerous university resources, and participation in this new student success tool is expected to grow as more WSU departments and offices join the new app. Future plans include development that will allow students the ability to identify and prioritize their campus resources, fine tuning the app’s usefulness even further. 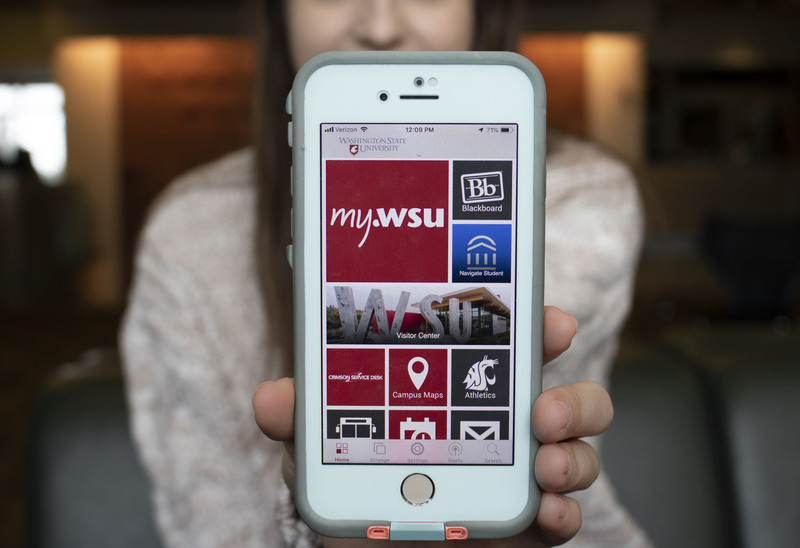 As part of WSU Mobile’s implementation, the myWSU app will no longer be necessary, and will no longer available in app stores, effective Feb. 28. **When downloading WSU Mobile, users need to be aware that other apps accessed through WSU Mobile do require downloading in order to access them through the new app, so storage on phones is not reduced.